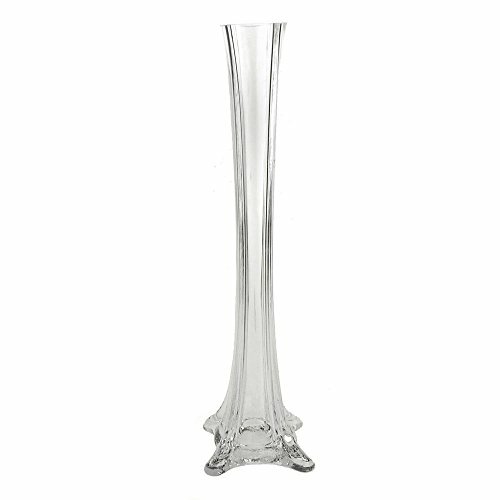 A beautiful self-standing and popular slim Eiffel tower glass vase. Vase may be used for decorations, flowers, valentine's day, centerpieces, and much more. Choose from sets of 6 pieces,12 pieces or 18 pieces. Vases sizes are 12" inches, 16" inches, 20" inches, or 24" inches tall. 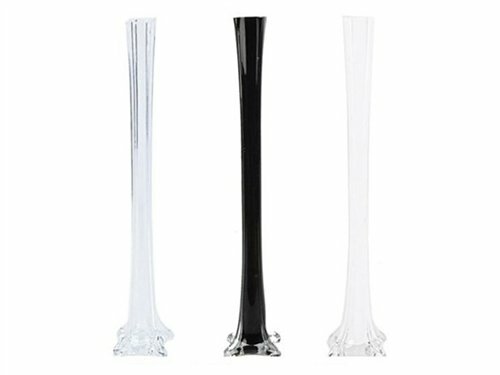 Choose from 3 beautiful colors for the perfect occasion: Clear, White, or Black vases. Opening may vary from 1" inch to 1.25" inches. No mix and match for any of the vases. 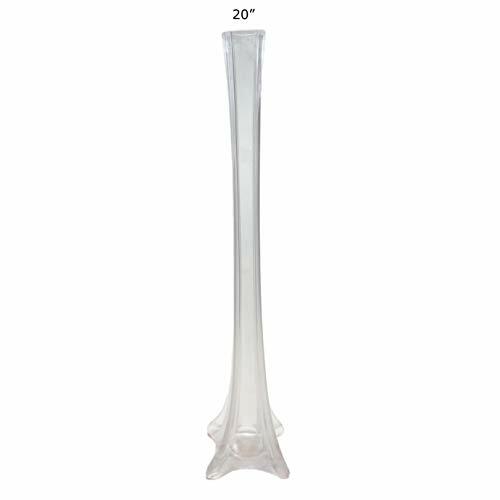 This slim vase is the perfect container for slender floral arrangements. 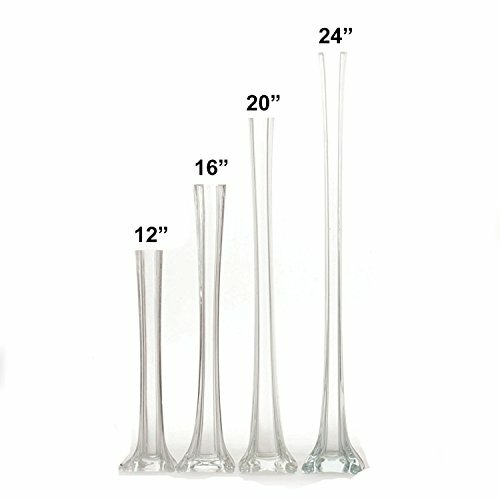 These vases are made with air blown glass, so there may be a very slight variation in its measurements. ** Please Note ** Our vases are handmade and will have slight variations between them. The height may vary by up to a half inch and the base may vary by up to a quarter inch. The opening of the vase measures between 1.25" and 1.5" A stunningly gorgeous and elegant vase. When decorated, this item works wonders and has minimal space requirements due to its slender frame. Add beautiful flowers atop the vase and have gorgeous flowers streaming down for a unforgettable centerpiece. NOTE: This item is heavy and large. Shipping is fairly costly. 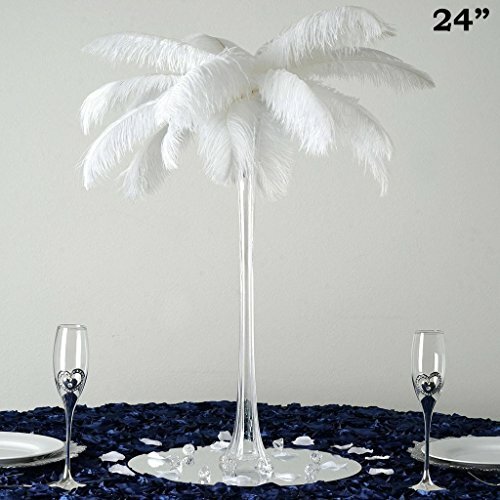 Made from heavy duty glass and is a top choice for flower shops & wedding planner. Click on picture to see how it can be used.Each vase is hand-crafted, some slight variations between each may occur.Size: 24" tall, 3 3/4" base, 1 1/2" tipqty: 6 Vases**NOTE** This item not suitable for Int'l Shipping, to our international customers, please order at your own risk. **NOTE** Decorations are not included. Glass items - Despite double boxes and careful shipping, damages in transit are sometimes unavoidable. If it happens, we reserve the right to either replace or refund at our discretion. Our decision will be final on the method of replacement. No exceptions. A stunningly gorgeous and elegant vase. When decorated, this item works wonders and has minimal space requirements due to its slender frame. Add beautiful flowers atop the vase and have gorgeous flowers streaming down for a unforgettable centerpiece. NOTE: This item is heavy and large. Shipping is fairly costly. 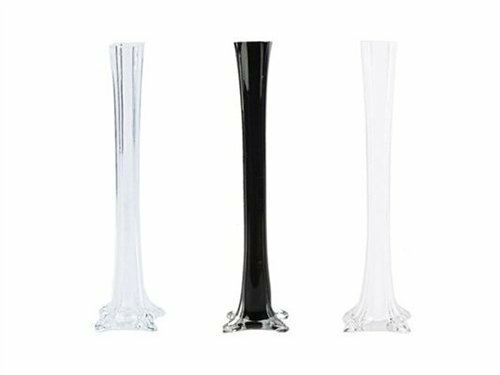 If you are looking for tall glass vases at a cheap price (but not cheap in quality), the Eiffel tower vase is the perfect choice for centerpieces. 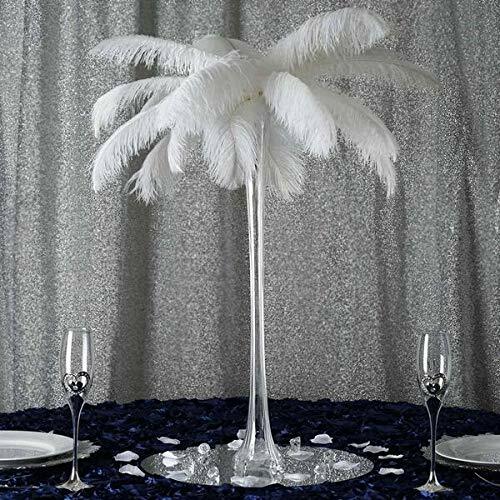 It makes for a great centerpiece vase for wedding reception and anniversary events, fund raisers, high school prom, bat and bar mitzvahs occasions, quinceaneras, and other special events. The Eiffel tower vase is also bottom heavy, so it does not tip over easily. This vase is also known as a Maestro Vase. 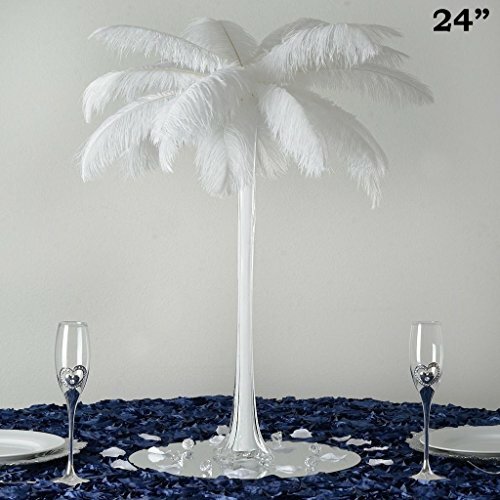 Compare prices on Eiffel Tower Vase Centerpieces at LiveSaler.com – use promo codes and coupons for best offers and deals. We work hard to get you amazing deals and collect all avail hot offers online and represent it in one place for the customers. Now our visitors can leverage benefits of big brands and heavy discounts available for that day and for famous brands. We try to makes comparison shopping easy with Product Reviews, Merchant Ratings, Deal Alerts & Coupons. Find Deals, Compare Prices, Read Reviews & Save Money.